Conservation efforts rose to prominence in the early 1900s in response to the disappearance of the American bison and passenger pigeon - but early laws often fell short of outlining specific steps in the process of bringing species back from the brink of extinction. Then came the Endangered Species Act in 1973. Since being signed into law, the ESA has served as a vital legislative safeguard for American wildlife. According to "On Time and On Target," the Center for Biological Diversity's report on the effectiveness of this law, a sampling of the more than 2,000 species listed as endangered found that 90 percent of protected populations are increasing at or above the rate listed in their federal recovery plan. Then: 1,276 brown pelicans reintroduced into Louisiana between 1968 and 1980 Now: Nearly 11,000 nesting pairs producing over 24,000 fledglings in Louisiana by 2007 By the 1970s, brown pelicans had nearly disappeared from the United States. The presence of the pesticide DDT in their food chain led to thinner egg shells, which were crushed by pelican mothers (who keep their eggs warm by standing on top of them). The protection granted to them by the Endangered Species Act, rehabilitation efforts, and increased pesticide regulation led to dramatic recovery. Populations along the eastern coast of the Gulf of Mexico and the Atlantic coast had resurged enough to be delisted in 1985, with all other regional populations following in 2009. 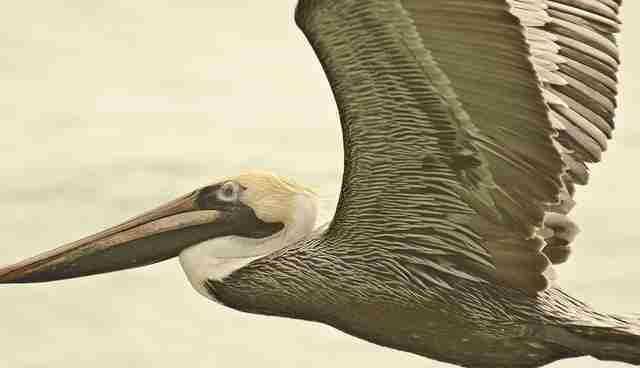 Despite enormous progress, brown pelican populations along the Gulf of Mexico have fluctuated as their nesting grounds are threatened each year by hurricanes and storm surge. Then: 10 individuals found in only four areas within their habitat range in 1985 Now: 1100 squirrels counted in more than 100 sites within the same range in 2013 Virginia northern flying squirrel populations were nearly eradicated by industrial logging between the 1880s and 1940s, leaving only small groups scattered throughout the few remaining habitable portions of their forests. After gaining the protection of the Endangered Species Act in 1985, the U.S. Fish and Wildlife Service partnered with the West Virginia Division of Natural Resources, numerous state parks, The Nature Conservancy, and other conservation groups on countless forest regeneration initiatives. By 2013, squirrel populations had increased exponentially, and scientists counted individuals at more than 100 different sites within their habitat range - a huge improvement from the mere four areas where they were able to locate squirrels in 1985. Then: 18,000 sea lions populating the eastern portion of their habitat in 1979 Now: A population of 70,000 individuals within the same region in 2010 Steller sea lions make their home along the west coast of the United States, and have long been the victims of man-made hazards within their habitat (including fatal entanglements in drift nets, illegal hunting, offshore drilling and oil exploration and boating strikes). The entire species was granted protection under the Endangered Species Act in 1990 before being divided into distinct population segments in 1997, as western populations struggled (decreasing by 40 percent in the '90s) while the eastern population thrived (with a nearly 300 percent population increase). 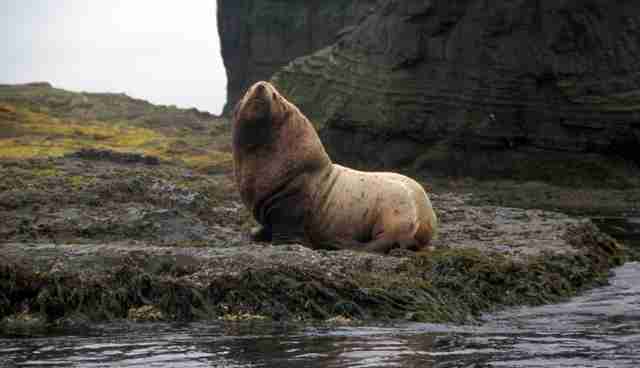 After such a momentous resurgence, the eastern population of Steller sea lions was delisted from the Endangered Species Act in 2013. In addition to continuing rehabilitation efforts for the western population, the National Oceanic and Atmospheric Administration oversees a 10-year post-delisting monitoring period to ensure that the species doesn't slow down its progress. Then: Only 790 individuals in 1975 Now: Around 111,000 geese in 2011 Once plentiful throughout the countless islands off Alaska's coast, the Aleutian Canada goose was nearly wiped out by non-native foxes, who were introduced to the region by the fur industry and fed on birds' eggs and defenseless goslings. When the Aleutian Canada goose became one of the first species to benefit from the Endangered Species Act in 1975, the U.S. 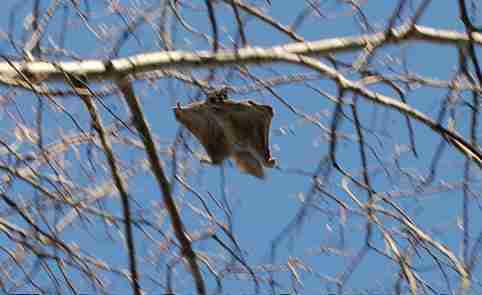 Fish and Wildlife Service sprang into action. Through removal of the invasive foxes from nesting grounds, restricted hunting within regions where the geese spend their winters, and habitat protection measures, the species has enjoyed a comeback spanning over three decades - and the threat of extinction has passed. 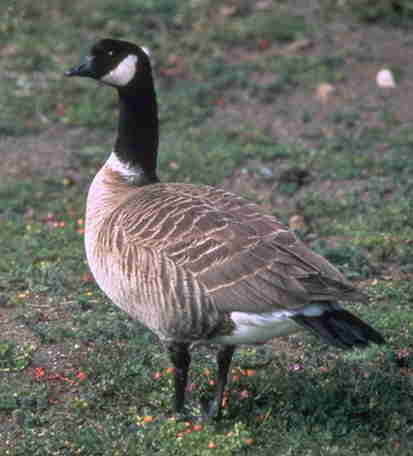 After enormous population recovery, the Aleutian Canada goose was delisted in 2001. Then: No accurate population count exists for these elusive lizards prior to their 1977 ESA listing Now: More than 21 million lizards make up the now-thriving population Native only to southern California's Channel Islands (San Clemente Island, San Nicolas Island, and Santa Barbara Island), the island night lizard's limited habitat was nearly wiped out by the introduction of non-native herbivores such as pigs, goats, sheep, and domesticated cats. Beginning in 1977, the Fish and Wildlife service went to work restoring the island night lizard's habitat and removing the grazing invaders that were gobbling up the foliage where they made their home - a process completed by the mid 1990's. The last of the feral cats (who found the lizards to be a tasty snack), however, weren't successfully rounded up and relocated until 2010. 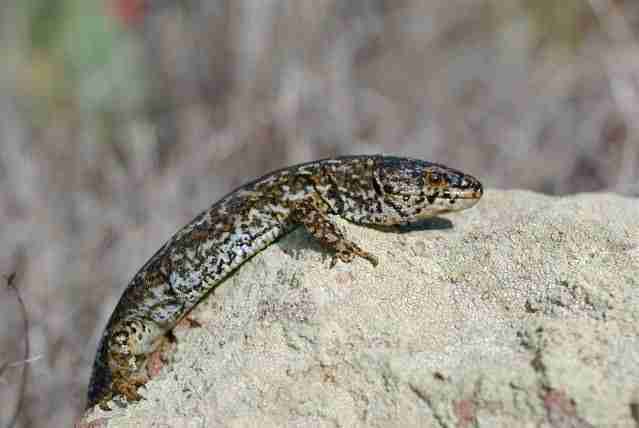 Today, vegetation has been restored, erosion prevented, and island night lizard populations are flourishing. San Clemente Island alone is home to a population of 21 million individuals, while San Nicolas and Santa Barbara each host over 15,000 lizards. Then: 5,450 snakes in 2001 Now: 12,000 snakes in 2011 Unique to the beautiful island communities of their namesake Great Lake, the Lake Erie water snake became a frequent victim of unregulated killing and human interference. The species was listed as threatened on the Endangered Species Act in 1999, inspiring locals to come to its rescue. Led by Dr. Richard King of Northern Illinois University and PhD student Kristin Stanford, public education campaigns promoted community involvement in saving this unique, local species. Their efforts included a poster design contest that drew 100 artwork submissions from island students, widespread adoption of signs explaining the non-poisonous snakes' protected status, an appearance on Discovery Channel's Dirty Jobs, and Stanford's popular news paper column ("Ask the Snake Lady") on top of countless other habitat conservation operations. 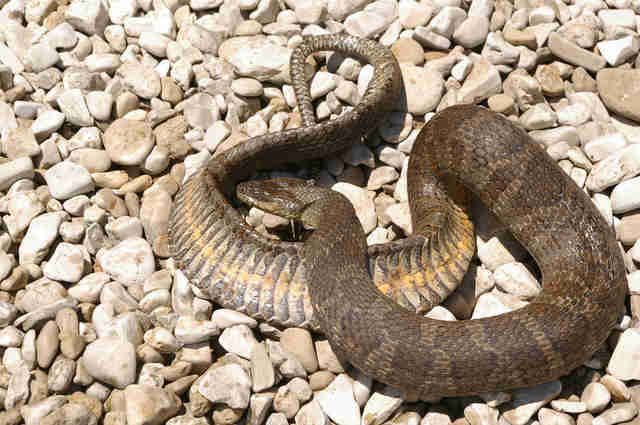 The results have been record progress, with populations increasing at about six percent each year, leading the Lake Erie water snake to be delisted from the Endangered Species Act due to recovery in 2011. Then: Only 300 wolves survived deep within the woods of Wisconsin and Minnesota, according to a 1960 count Now: 5,443 wolves residing in the lower 48 states, as of a 2013 count It is estimated that more than 2 million gray wolves once roamed the United States before humans deemed them threatening, waging war on the species. On the brink of extinction and cornered in dense forests of the Great Lakes region, the species was finally afforded protection under the Endangered Species Act in 1974. In the 40 years that followed, the population has grown substantially, and gray wolves have been reintroduced into habitats where they were previously plentiful (such as Yellowstone National Park in 1995). 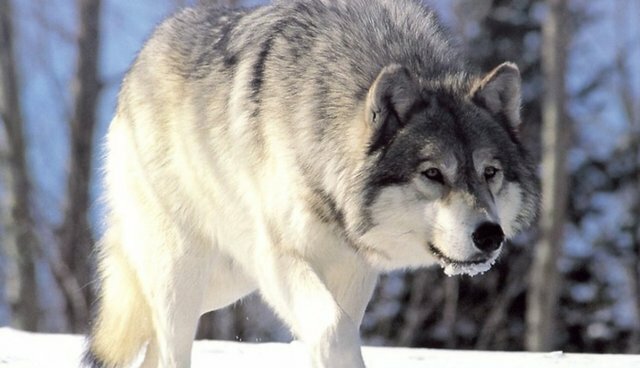 Though some gray wolf populations have been delisted due to recovery in 2011 and 2012, the opinion that the species has made a significant recovery is extremely controversial, as the wolves only occupy 15 percent of their historic range. Currently, battles over whether or not the entire species will remain eligible for federal protection under the Endangered Species Act are being fought in the court system. 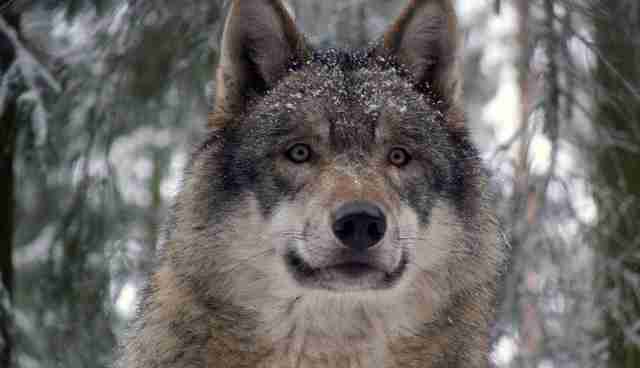 Gray wolves are a case study on the enormous importance of one species within their habitat. As apex predators, they directly influence evolution and population control within their ecosystems. Rebounding wolf populations have been followed by the reappearance of aspen and willow trees, as well as growth in beaver and red fox numbers. Innumerable animals provide similar benefits to other species, making it crucial for humans to remember that the harm done to one species ripples outward and negatively affects other plants, animals, and habitats. On the flip side, human efforts to save one species also ripple outward and help bring ecosystems back into balance. Though these seven species have made profound comebacks, countless others still need our help. Stay up to date with the progress of species protected under the ESA and help with their recovery here.